UNTUCKit (@UNTUCKit) is a New York-based retail company that sells shirts designed to be worn untucked. The UNTUCKit team wanted to grow brand awareness and increase online sales. The top priorities for the team were increasing sales while meeting their cost-per-acquisition (CPA) goals. 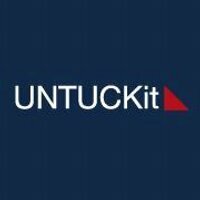 To help bring their target audience to the UNTUCKit website, they decided to run a website clicks or conversions campaign with Twitter Ads. UNTUCKit’s target audience is men and women ages 25-60 in the US. The UNTUCKit team used the ad image as an opportunity to put their signature shirts in the spotlight and feature shots from their recent campaign. Using a strong product image helped them to effectively introduce and attract new audiences to their business. The Tweet copy was used to call out noteworthy press mentions and recommendations. Highlighting well-known associations helped get the audience’s attention and added a level of credibility. The UNTUCKit team ran both evergreen ads and season-specific campaigns for special days, such as Christmas and Valentine’s Day. Creating holiday-specific campaigns allowed them to tap into the market for gift purchases. By balancing seasonal campaigns with an always-on campaign strategy, they were able to consistently drive purchases while featuring timely content. By placing a snippet of code called a website tag on their site, the UNTUCKit team was able to track site visits and conversions. The website tag also enabled the team to focus on remarketing by targeting ads to people who previously visited their site or bought from them. Targeting these high-intent shoppers efficiently boosted site traffic and purchases. Use website tags to remarket to specific audiences on Twitter. Attract traffic to your website from Twitter. See how a consumer tech company increased sales with Twitter Ads.